I live in South Korea, and I love it. Seoul has direct flights to almost every major travel spot in Asia, which is good for me because I absolutely love to travel. The cultures are fascinating. The history is interesting. The architecture is amazing. The people are wonderful. I travel to learn and experience, and that knowledge generates tons of new story ideas. 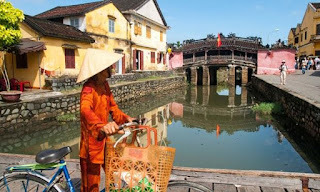 I recently visited Hoi An, a UNESCO World Heritage Site on the outskirts of Da Nang, Vietnam. It’s nicknamed The Lantern Town because lanterns hang from every building and entranceway. The Old Town looks remarkably like it did in the 16th century with its Japanese covered bridge and the 19th century with its yellow French architecture. It’s a busy town, like a lot of Vietnamese cities with motorcycles representing most of the road traffic and tourists the rest of it. 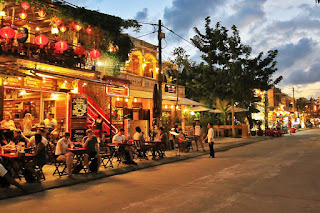 But Hoi An really comes alive at night. All the lanterns are lit and people flock to the streets. Music wafts from the bars, and most places open directly onto the street. It’s warm most of the year there, so unless it’s monsoon season, shops and restaurants are partially open air. To get the most out of any new location, I have a three-step plan: Stay local, Eat Local, Meet Local. The idea is to delve into the culture of a place and experience it, rather than just watch it, and Hoi An was no different. 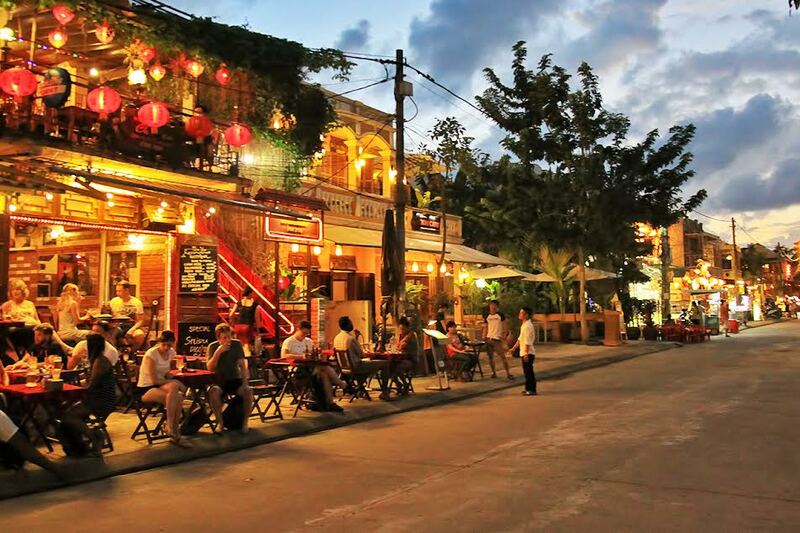 Stay Local – I met a man from Florida who travels to Hoi An four times a year and stays at the same place every time, which happened to be the place I stayed this time - The Vinh Hung River Resort on the Thu Bon Riverway. He told me this river was a major passageway for the spice trade back in the day, and still represents one of the busiest small commercial waterways in Asia. The front desk folks confirmed it. Now “resort” makes it sound like a large, commercial place but this little gem has only 89 rooms. In the early evening, we’d sit on the porch and watch small boats with no mufflers cruise along the water, but no boats cruised at night because of a lack of electricity. Instead, guests heard music from across the river or just birds singing. My bed faced a wall of windows that opened directly to a back porch with loungers overlooking the river. Lilies fragranced the air, and coconut trees provided ample shade. The cool morning air was perfect for a cup of coffee and a book. Eat Local – We did eat at the resort for breakfast since it was included, but two things stand out for me in Vietnam during breakfast. Dragon fruit and pho soup. Dragon fruit is in everything – salad, casseroles, wraps – you name it, and pho soup is for breakfast, lunch and dinner. I have found pho soup for breakfast is one of the most satisfying meals. It’s warm and a little salty, and it fills me up. Every other meal was on the locals. For $24, three of us ate a dinner of spring rolls, pho soup, pancakes (banh xeo) and noodle soup. For a deeper culinary experience, we paid a little more and spent two hours at lunch learning how to make a plethora of Vietnamese dishes in a little place called Vy’s Cooking School. Thin rice noodles, thick rice noodles, rice dumplings, rice pancakes, spring rolls on rice paper. Believe it or not, they had several dishes with tofu. The hubs tried pig brain and cow tongue. As a vegan, I did not, but now I know these are some every day foods for the Hoi An locals. Dinner was spent at a local farmer’s market, which looks more like a potluck than a farmer’s market. You start at one end of the long row of tables and each person hands you one of whatever they offer that night: mi quang (pork or shrimp & rice noodles), banh bao (rice dumplings), banh dap (rice pancake) and of course rice wine. Snag some chopsticks and you’re ready to go. 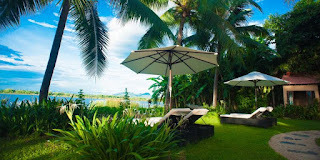 Meet Local –The resort usually gets a kickback or two from any place they recommend, so before I go anywhere, I look around online for any place I know an American might be. They’ve generally been in the location for a while and know all the best spots. Randy’s Books was my first stop. 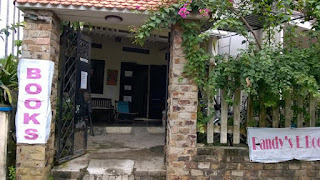 A Vietnam War veteran owns this charming little bookstore with a pretty deep bench in the Vietnam culture and biography section. He’s a writer and when I visited was currently editing two of his friends’ books. I’m pretty sure this bookstore is in the front part of his house. The staircase has book titles on the panels, and the smell of the 18th century wood mixed with old books would intoxicate any reader. Randy told me where Anthony Bourdain likes to eat when he’s in town, and then swore the best foodie experience in Hoi An is actually a Greek restaurant run by an ex-pat. Randy also ticked off on his fingers temples, museums, shops and craft tours. It’s clear he does this a lot. By the front door was a rack of business cards and he handed me several. Armed with this, I set out. Buddhist temple to pray, check. Japanese covered bridge, saw it. Lantern-filled streets at night to dance, yep. Boat ride down the Thu Bon, done. Local tailor for new suits, had to. Chatting with locals about their history, a must. Meeting Americans in sports t-shirts, of course. But more importantly for me, I met and talked to real people, and that helps me develop real characters for my novels. 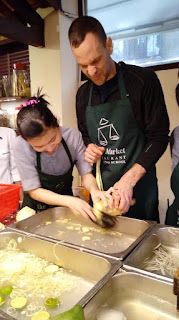 And I drove a motorbike and made rice pancakes and toured the alleyways not just the main drags. That’s how I can build authentic worlds for my readers. So the next time you travel, think bed & breakfast instead of hotel and hit up the local bookstore or coffee shop for ideas on where to go. Trust me, you’ll love your trip all the more for doing it! Quick travel tip: A lot of people ask me about the language barrier, and frankly, I’ve traveled to 35 countries, and that’s never been a problem for me. If you smile and nod and point, you can communicate with anyone. But I do find it useful to learn a few local phrases: hello, thank you, where’s the restroom/taxi/train. Most locals like it when you make the effort, and frankly, it’s respectful to the culture to at least try. But definitely download the language to your Google Translate app. It may not have the most exact translation, but it will be close enough to help. 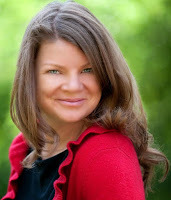 Author Intrusion: What Is It? Am I Doing It?